Sally Hazelgrove receiving the Community Leadership Award. 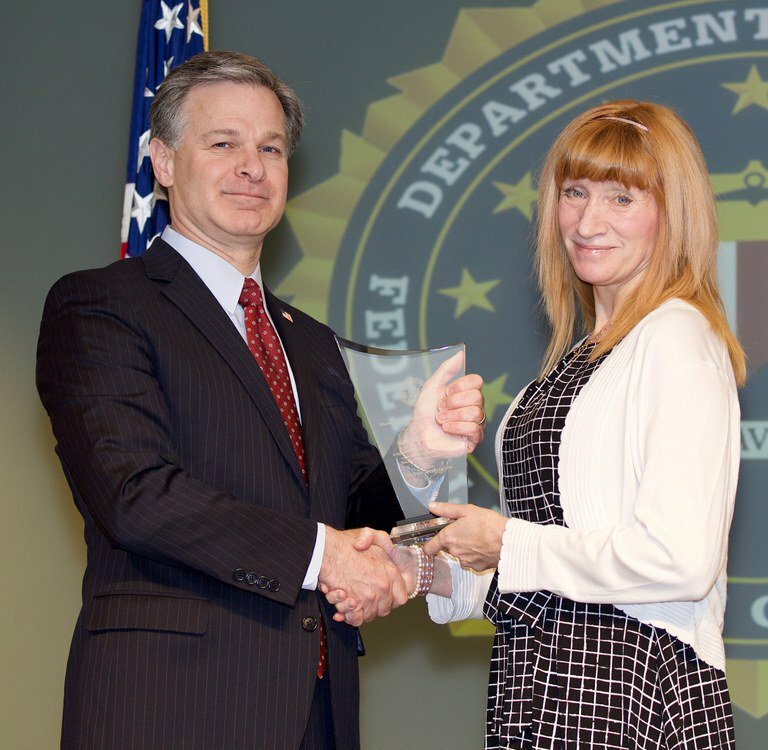 In a ceremony at FBI Headquarters on April 20, 2018, Director Christopher Wray recognized the recipients of the 2017 Director’s Community Leadership Award. Our own Sally Hazelgrove has been one of the outstanding leaders who change their communities for better. You can read a full story here.